Peninnah Schram, internationally known storyteller, teacher, author and recording artist, is associate professor of speech and drama at Stern College for Women of Yeshiva University. She travels across the United States and around the world presenting storytelling programs and workshops for all ages, talks about the Jewish oral tradition and scholar/storyteller-in-residence weekends. 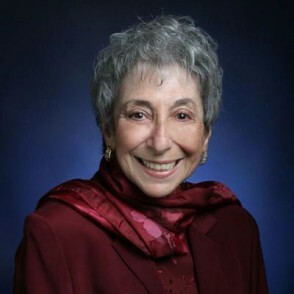 Professor Schram is the author of 10 books of Jewish folktales, including “Jewish Stories One Generation Tells Another” and “Stories Within Stories: From the Jewish Oral Tradition.” She has also recorded a CD, “The Minstrel and the Storyteller” with singer/guitarist Gerard Edery.